Sasquatch love to play tricks on friends. Hello dear friends. Leigh Here form Australia…I am inspired to write about our Sas friends and the little tricks and pranks they enjoy. It seems they get such a thrill by doing this , and this has been confirmed with many people I have had conversations with. I remember Kewaunee confirmed this when my little incident happened to me which I am about to share here. 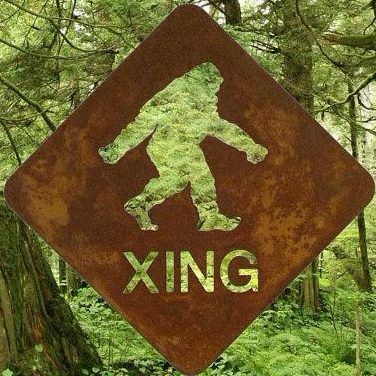 It was 2016 when we went to the very first and “amazing” psychic sasquatch conference in chewelah. Both my partner and I were guest speakers from our facebook group “Yowie Down under Mick and Leigh” from Australia. ON the morning of the event we were to present at 10 am and I remember we all slept in a bit late. We had rented a quaint little house down at Loon lake and there were 4 people staying including Kagi Taka Raven and Brady brown bear . I dont usually sleep in but that morning we did so we had to get up and hurry to get ready and drive on down to the Chewelah conference center. So while the others were in the shower ( not all at once )I laid out my clothes and shoes to avoid delay . After my shower I got dressed and my shoes were GONE !! They were right there but now they had gone??? Have you had any experiences or pranks from our Sas friends? # Picture of Loon Lake Cabin during our stay. Social Gathering. Thanks for your post Leigh. Yes indeed, they have a good sense of humor and ways to make us scratch our heads. Like when my lighter disappeared at Kewaunee and Kelly’s place last year, and two days later, while sitting outside in the backyard, it fell on my feet out of nowhere.